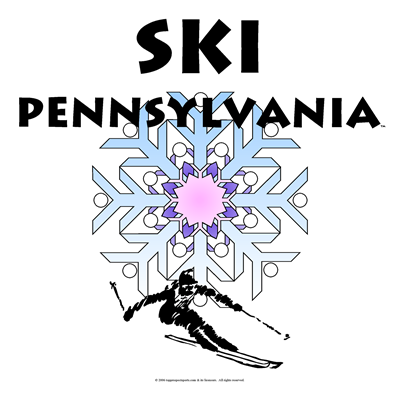 Tours de Sport's Blog: Book A Pennsylvania Ski Vacation TODAY!! Book A Pennsylvania Ski Vacation TODAY!! Head to Pennsylvania's- Seven Springs Resort and Sno Mountain Resort for an exciting ski vacation. 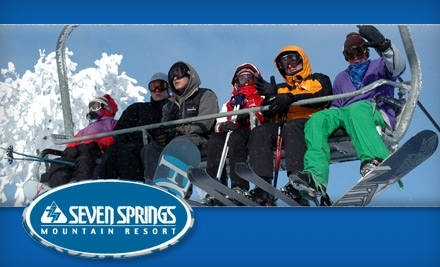 Seven Springs Mountain Resort - is considered as an all season resort that offers countless opportunities of wholesome family recreations. At winter season, the mountain receives an annual average of 105 inches of snow on its 285 skiable acres composed of 33 slopes and trails with the “Lost Boy” as its longest trail. It has a mountain elevation of 3,001 feet and the highest vertical drop of 761 feet. The resort lifts that includes 2 high speed 6-passenger chairlifts, 3 quads, 5 triples, 2 rope tows, a handle tow, and 2 magic carpets has the total lift capacity of 26,620 skiers an hour. Accommodations include the hotel rooms, condominiums, villas, and an inn that is minutes away from the slopes. Sno Mountain - What was known as Montage Mountain has now become a legendary skiing destination for skiers of all ages and various ability levels. Since 1984, the resort now known as Sno Mountain has been a winter recreation’s centerpiece because of its accessibility. Considered as one of Pocono’s largest ski areas in the region, the resort features some of the steepest and challenging terrains serviced by five fixed-grips chairlifts and two magic carpet lifts with an uphill capacity of 8,000 lifts per hour. The 21 scenic trails has been the haven of skiers and snowboarders looking forward to challenging escapades while on vacation. Guests are also provided with luxurious accommodations to add up the enjoyable winter vacation. Please Contact A Pennsylvania Travel Specialist TODAY!!! Call 888-754-2167 To Customize Your Vacation! !